Join the Alzheimer’s Association, North Central Texas Chapter, on Thursday, June 21, for the Longest Day. For those facing Alzheimer's, every day can feel like "the longest day." 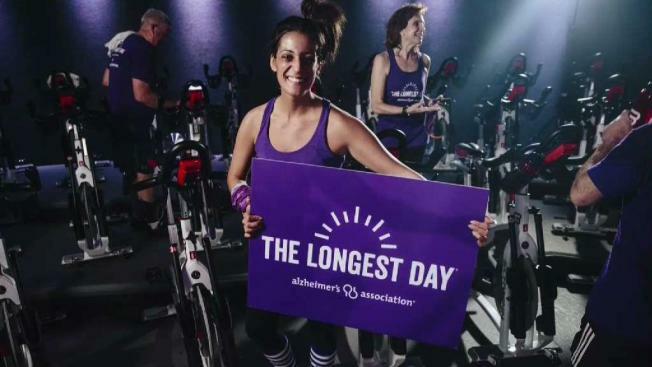 The Longest Day is a team-oriented initiative that raises funds and awareness for the Alzheimer’s Association. Held annually on June 21, this event symbolizes the challenging journey of individuals living with the disease and those who care for them. Jan Draper, 76, will be skydiving in memory of her late husband Gary Draper, who died of complications from the disease in January of 2017. After reflecting on the challenges of the disease and to honor his memory, Jan is participating in The Longest Day, to raise funds and awareness to advance Alzheimer’s Association care, support and research programs. Whether you have a team of one or a team of one hundred, there is an experience for everyone to raise and generate awareness for the Alzheimer’s disease. The North Central Texas Chapter, in conjunction with businesses in our community, is hosting numerous events around Fort Worth. To start a team, register, or join a team, please visit www.alz.org/thelongestday. The Alzheimer’s Association is the leading voluntary health organization in Alzheimer's care, support and research. Our mission is to eliminate Alzheimer’s disease through the advancement of research; to provide and enhance care and support for all affected; and to reduce the risk of dementia through the promotion of brain health. Our vision is a world without Alzheimer’s. For more information about the Alzheimer's Association and local services, please visit: www.alz.org/northcentraltexas or call our 24/7 helpline at 1.800.272.3900.